"My column on the problem with classical music and how a large proportion of R3’s audience should hurry up and die - independent.co.uk/arts-entertain..."
“...we can only hope... classical music will emerge from the dusty cupboard where it has long resided. And perhaps, by some miracle, it will persuade [BBC Radio 3's] longstanding, determinedly short-sighted, Twitter-loathing listeners to get with the programme and quit their bloody moaning”. You might not think so, but the irony is that Fiona Sturges and myself are saying the same thing – we both think BBC Radio 3 needs to change. But the difference is that, unlike me, Ms Sturges is an iPod generation journalist and therefore doesn’t do facts, she just does sound-bytes. As has been shown here previously by reference to independent audience data, there is no evidence of the existence of a mass market for classical music. And more importantly there is no evidence that social media coupled with entertainment-style presentation can create one. In fact the decline in the combined audience for Radio 3 and Classic FM shows that not only is the classical music mass market a fallacy, but the attempt to create one is alienating the existing audience. In fact many of classical music’s current woes can be attributed to futile attempts to herd minority interest groups spread across many small niches into a single mass market group that lacks any common interest. It is difficult to grasp what solution Fiona Sturges is actually proposing other than sending Radio 3’s longstanding audience one-way tickets to the Dignitas Clinic in Switzerland and giving the station's classical jocks free rein. And that is the problem, sound-bytes solve nothing. Of course classical music needs to extend it audience, but it must also retain its core listeners, otherwise the baby goes out with the bathwater – which is what is happening at Radio 3. Ms Sturges’ article is also notably short of case studies illustrating how classical music can successfully extended its audience. Positive examples are something that are featured here whenever possible, and recently I quoted Norman Perryman reporting on one of his kinetic art experiments with pianist Pierre-Laurent Aimard – here are Norman’s precise words "I’ve never seen hundreds of young people so happy after listening/watching, entranced with classical music. Don’t tell me there isn’t a future audience for the classics – and we’re talking about modern classics too!" Art must not be fixed in the past, or it becomes a dried-up tradition, comparable to a dead language. If an artist with a traditional heritage truly lives his or her art, it is contemporary art expressed in a specific language. Sufism is an esoteric tradition that uses kinetic performance to open the door to a new level of awareness and consciousness, and it does this by looking inward rather than outward. 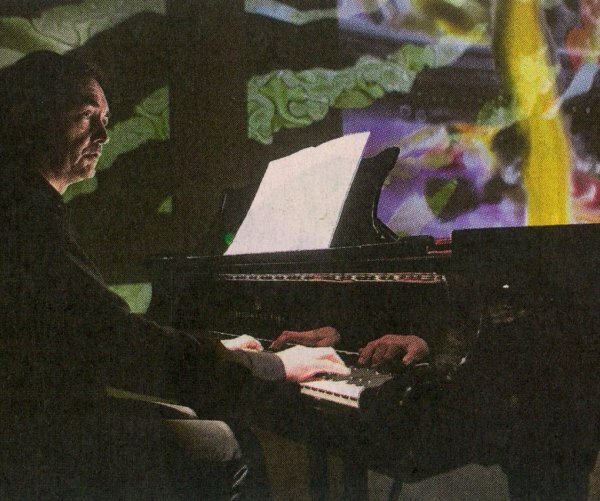 For years classical music has been trying to lead new audiences through a similar door to a new level of awareness, but the mantra of accessibility and the shadow of elitism has meant that it has shunned the esoteric. Instead classical music has taken the exoteric route using external stimuli such as celebrity presenters, classical charts and social media campaigns. Which ignores the vital point that appreciating classical music is an esoteric rather than exoteric experience, and the listener can only pass through the door to musical awareness when something is triggered within the self. Kinetic performances are just one way of triggering esoteric experiences. Music education and its cousin music therapy are others, and heretical developments such as judicious amplification and etiquette-free concerts may also act as triggers, while convention-challenging contemporary music certainly has a role to play. But, above all, hearing - or even better performing - live music is the key to that crucial esoteric experience. Classical music should end its love affair with the exoteric and instead focus on replicating the epiphany that came in a far distant childhood when my parents took me to a Bournemouth Symphony Orchestra concert that ended with Tchaikovsky's Sixth Symphony. In her chronicle of Joni Mitchell’s ‘blue’ period Michelle Mercer explains how “… studies have shown that the music we meet at our most self-involved, in adolescence, is the music that hits us deepest”. 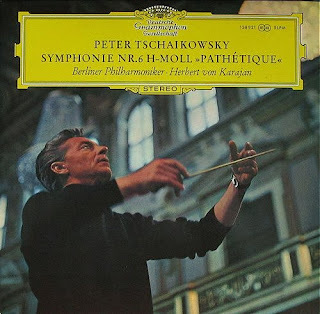 More than fifty years ago something happened inside me during the third movement march of Tchaikovsky’s symphony; although I did not know it at the time I had experienced an esoteric revelation which, literally, changed the course of my life. 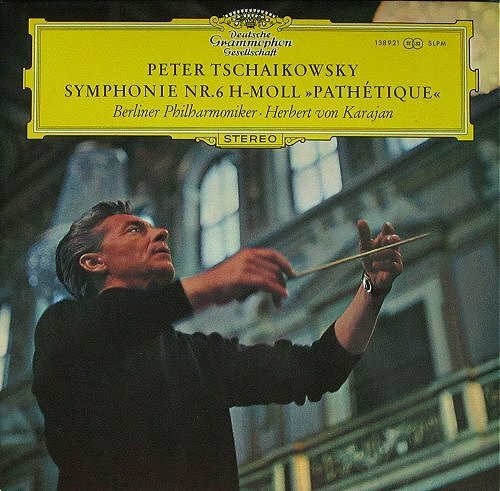 My first classical record was Karajan's account of the Pathetique, that is my 1969 Deutsche Grammophon LP above; it plays in all its vinyl glory as I write and still sounds persuasively esoteric. Fiona Sturges' tactic of ridiculing existing loyal audiences is counterproductive as well as offensive; if classical music really wants to emerge from the dusty cupboard and connect with new audiences it must return to its esoteric roots. There is more on the potential of this market in 'Classical music's $11 billion opportunity'. * My header quote is from Journeys of a Sufi Musician by Kudsi Erguner, a musician who has challenged traditional mindsets by working with artists as diverse as Peter Brook, Maurice Béjart, Jean-Michel Jarre and Peter Gabriel. The importance of this book is indicated by Peter Brook supplying the foreword, and chapter headings such as 'Traditional Music and Modernity', 'Meetings with Peter Brook', 'Journeys in Afghanistan' and 'Islam, Sufism and the Modern World'. 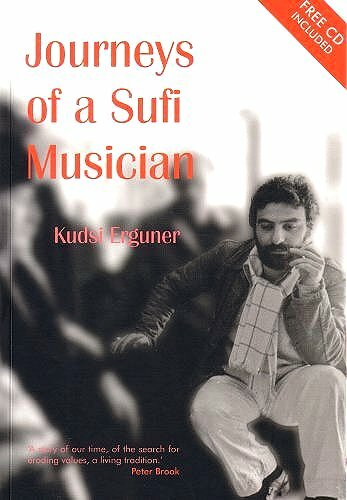 A CD of Kudsi Erguner playing the ney reed flute in traditional Mevlevi Sufi music is included. Need I say more?
" . . .the listener can only pass through the door to musical awareness when something is triggered within the self." That would seem to be so self-evident as to not need saying, yet that's where we are these days. It also chimes in with something that seems self-evident to me as a music therapist. If a piece of music, or a particular performance, triggers something in the self of the listener that is beneficial physically, emotionally or spiritually - it doesn't matter that critics or the musical elite don't particularly like it. Conversely, if a piece of music wins over the critics and musical elite there might be a better chance it will trigger something in some audience members, but it's not a given that it will. Your advocacy of more varied musical offerings, both in content and delivery, seems the obvious direction to take if the aim is to create a more engaged and (if numbers are to increase) diverse audiences. I don't know what FS is blethering about with talk of dusty cupboards, elites, and the need to bump off old people. But then, she is a music journalist. As R3 tries to emulate Classic FM, its audience has fallen to 1.9 million, a decrease over last year of 15.8 per cent. And this, despite that all but one of the R3 daytime presenters are ex-Classic FM. Of course, R3 lured no listeners from Classic FM and lost a chunk of the audience they had. But, moving closer to the point, R3 has adopted the phone-in 'to hear your favourites' approach; programmes playing the 'classical music' best-seller charts, which is toe-curling, for those charts are manipulated by the industry and often the music is not classical; programmes of music used in movies. Re the first two, anyone who remembers Housewives' Choice or Family Favourites will know what will issue from this: the same pieces played in what might as well be a continuous loop. The works become stale, meaningless, and in this way they become purely objective, things out there -- exoteric. Norman's words re the reaction of young people when first exposed to classical music echo my own thought of many years, though I would add that the same applies to adults. What is vital is that children be exposed to classical music in school, both primary and secondary. And while performance in schools is also important, I must say not, in this context, nearly as much so as simply listening to great works. A vital question there: Listen to what at the start of this introduction to classical music at whatever level? This where we must get it clear that music is esoteric and intensely subjective. We may, individually, find in classical works agony, love, joy, grief, turmoil, humour, reverence, imaginary worlds, the comfort of continuity or the surprise of contrast, empathy, dislike, ecstasy, tension, catharsis. Individually!! God help the teachers who tell those before them what the music is 'about' or what the emotion(s) in it is. To do so is again to objectify it, to make it exoteric. But the goal is to captivate your audience, which is why I think that those first works should be of an overwhelming sort, though age and attention span must also be taken into account, so it may be necessary to play movements from larger works: the second and/or third movements of Rach Two, the third of Tchaik One, the Gloria from Bach's Bminor Mass, the last movements of Sibelius' Two and Five, Allegri's Miserere, Bruch's first violin concerto... none of these works are hackneyed to THEM, and the point is to stir the emotions and to let them experience those subjectively, esoterically. Music therapy for the brain-damaged, the troubled, those in pain, recovering from 'heroic' surgery, affects mind, body and spirit, and again the music must be chosen with care for the same reasons. I've never regarded 'The Mozart Effect' as grounded in scientific experiment. If it were, the researchers would surely have had to do with every other great composer what they did with Mozart, and if they did that, they'd still be working on it. The consequence, everyone interested in some aspect of the effect of music turning to Mozart, is unfortunate and possibly harmful. There are most certainly babies and people in music therapy who would benefit in other ways and more from exposure to other composers. If I wanted to stimulate the intellectual growth of babies, they'd be hearing rather more Bach. As Norman says, of course there is a future audience for classical music. It knows not of time and fashion. It is of the nature of eternality. Its performance, assuming that we are allowed to hear the greatest performers who come to us, not the most putatively marketable, is not a matter of repetition in a dusty cupboard full of old people. It is, as such as Solomon, Cortot, Cherkassky, Furtwangler demonstrated, a matter of recreation, recreated anew in and for each generation that comes. "God help the teachers who tell those before them what the music is 'about' or what the emotion(s) in it is. To do so is again to objectify it, to make it exoteric." - That's a terrific insight. Would that more of the musical elite realized individuals can have very different responses to music. Don Campbell, the man who popularized the "Mozart effect" passed away recently, but in an interview not long before that he regretted having run with that one study before the others came along and made things much more complicated (as they so often do). I live in a rural area and have a little group that plays at various outdoor public events and over and over toddlers and preschoolers will wander up with mouths open and sit on the ground in front of us entranced by people playing real instruments. Increasingly I wonder if small ensemble live music in the community isn't going the way of Morris dancers and other artifacts of the past. Growing up in this area I never heard live music outside of the church organ, and came to the classical repertoire through early stereo LPs in the 60's. What got me engaged was Handel's Water Music and Music for the Royal Fireworks - and an E. Power Biggs LP for organ, brass and percussion. I appreciate all that came after that, but that's what triggered something inside my self, and to this day I much prefer Elizabethan through Baroque for small ensemble over the massive things that came later. I realize most people think of music therapy as something only for people damaged in one way or another, and that's certainly part of it - but I would also include in music therapy what the previous commenter is talking about when he says, "the point is to stir the emotions and to let them experience those subjectively, esoterically." I must thank Lyle for his compliment, which I consider all the greater for coming from him. Lyle's own previous comment I think contains two very important points. I'm an ex-pat living near Vancouver, and the question of small ensemble over large has been something of an issue in that city. I'm very happy to say that the number of small groups (I subsume duos in this) performing in a great variety of venues has increased. This means local venues, of course, lower ticket prices, and the audiences are very good indeed. Far more people are so reached than are by the Vancouver Symphony Orchestra. So what about the VSO? It would customarily be classified as mid-rank, but I consider it, frankly, third-rate. God knows, it had an opportunity to be first-rate. Have a dekko at the list of music directors on its patently self-written Wiki page. Do you see the name Rudolf Barshai? No. He was appointed in 1985, a coup if ever there was one, and lasted not much more than a year. It didn't help that he fired the long-time and very popular Leader, though that very nice man was clearly having technical problems, but in general they'd had it easy for too long and couldn't cope with a Russian taskmaster of the old school. After him came an ad interim director and a slew of guests until Comissiona was appointed in 1991. I'll leave the history there. Second, the Wiki says that 240 000 people attend its 140 concerts every year. Of course they don't. The Board is addicted to the idea that you have to get every seat occupied by subscribers. Such seats as are filled are very largely filled by the same 2000 or so people. These bright sparks deliberately omitted prices of single seats from its prospectus until well into the 90s because they wanted to manipulate people into subscribing. The banks of empty seats you see at the front of the stalls are those bought up by corporations lest a VIP want to go to a concert. Unlikely. The scattered empty seats, variously few or many, are owing to absent subscribers or the fact that people have been discouraged from buying single tickets. Now, this costs $9.5 million a year, a great chunk from the governments. And it has always flirted with bankruptcy. This is iconoclasm, I know, but all in all I should like to see an end to the VSO and those millions distributed among the City's small ensembles who perform in the City's various communities as well as, perhaps, its centre. I must make my second observation more briefly. What lies behind Lyle's last paragraph I think a vital matter I didn't really raise. The core of it is catharsis. Young people, all of whom go through a phase of inner turmoil, and healthy adults all go through a welter of experiences just in the course of day, and at times, of course, events most surely traumatic. Classical music, in all its vastly varied glory, can in this regard furnish a path of catharsis, and do so for anyone, for in it there is something for everyone. But in these times, you really have to get 'em when they are still young and open. It was hearing 'Morning' from the Peer Gynt suites that did it for me when I was five. Philip - Your report that small ensemble performances are increasing in your area is heartening news. I'm sort of baffled as to why more of this isn't happening, as it's a great way to get to people who wouldn't normally attend a symphonic performance. But I'm biased in my enjoying small ensembles at least as much as large. I think you're right about classical music offering "a path of catharsis" and a validation of a huge range of emotions in the sense of demonstrating it's not just you, but others have felt similar things that can't really be put into words. But I also think there can be a calming effect that's more soothing than cathartic. Listening or playing Satie can induce in me a state of reverie that can be as healing in its own way as the cathartic angst of the Romantics. As you say, "there is something for everyone". For me, music therapy is simply helping people find that something that works for them. A lot of people not familiar with the huge range of the classical repertoire seem to assume it's all mostly symphonies, operas, and virtuoso piano solos. One of the little groups I've started is a brass ensemble and I've been amazed by how many people who have said they've never heard one before, and that they really like the sound. And the players who've never done much outside of the concert band repertoire have really enjoyed exploring different music. I've enjoyed this back and forth (and thanks to Pliable for the place for it to happen). Mulling over things I came up with a neat formula for my musical preferences - on average, modes do more for me than modulations. I too have enjoyed our conversation, Lyle, and I thank both you and Bob for it. It has been instructive for me in virtue of the fact that I agree with all you have written. I am not a music therapist, so to find that we are so much in agreement suggests that my own thinking has not been off-track. I have encouraged people in certain situations to listen to classical music as therapy, so this is of some importance. I love your comment that "...music therapy is simply helping people find that something that works for them". Not a few people have asked me if would "teach" them about classical music. My response is always the same: "What I think you really mean is would I introduce you to it. There is really nothing you have to be 'taught'. All that's necessary for an introduction is for us to listen together to a variety of works in different forms and from different times that I think might appeal to you, and we'll see which ones do. You tell me which those are, and then we can explore that sort of music further. We'll have a conversation, not a lesson, this isn't difficult and certainly not a chore. You'll learn as you listen and we chat." The statement "I don't like classical music", often heard, is really a symptom of the problem. With some 700 years of music of vast variety, there is not an emotion that can't be aroused or countered, not a reaction from revulsion to ecstasy that cannot be induced. Though I must allow perhaps for two exceptions: those people who are innately amusical, and those who are already inured through the incessant sound of Norwegian Death Metal blasting through earphones and imprinted on the brain. And so again, you have to get them young in these days. One issue that greatly concerns me, though, is that I fear the declining audience for absolute music may be owing to and linked to a much more general problem: an incapacity to comprehend the abstract. Another symptom of this, I think, is the precipitous decline in students majoring in Philosophy at university. And the cause may be found in our education systems which are now more akin to job-training programmes, in which the practicality of what is taught reigns over pure knowledge or learning for its own sake. What first started me on this train of thought, some years ago, was that those people who "don't like classical music" belt out Nessun Dorma at football matches and may have gone to hear the Three Tenors. Kathleen Jenkins. Sarah Brightman. What's the difference? The difference is that all that music has words, and to those they can relate, even if they don't understand them. I can offer a startling example of this. A friend did tell me she didn't like classical music. I had just bought the Pinnock (R.I.P.) recording of the Messiah, and I played for her 'Worthy is the Lamb' and the 'Amen'. Halfway through the first of those she started to weep. What more can one say. Thanks again for a stimulating conversation.